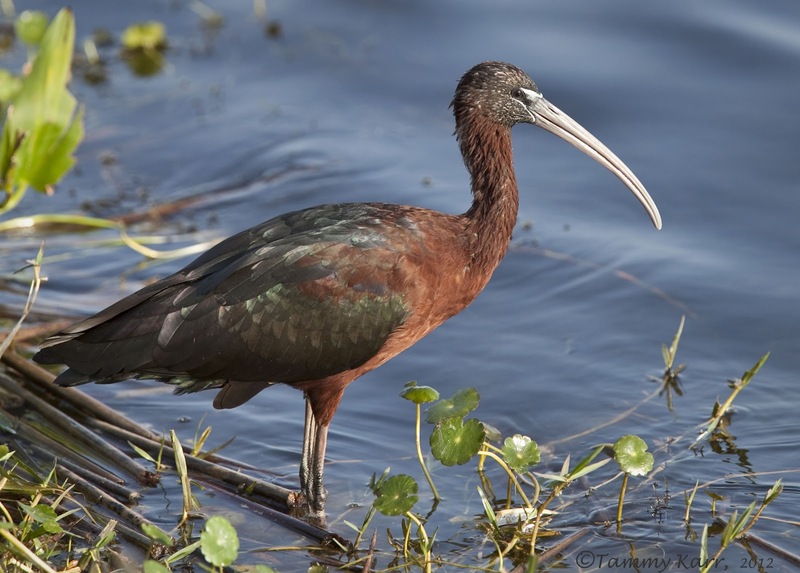 It's highly likely that if you are birding in Florida, you will come across a number of birds who spend their time just wading around. Nearly all species of wading birds in North America can be found in Florida thanks to the abundance of desirable habitats, such as shallow bays, coastal tidal flats, swamps, and marshes. Egrets and herons are the most common and prevalent wading species observed among the wetland and marsh areas I regularly visit. 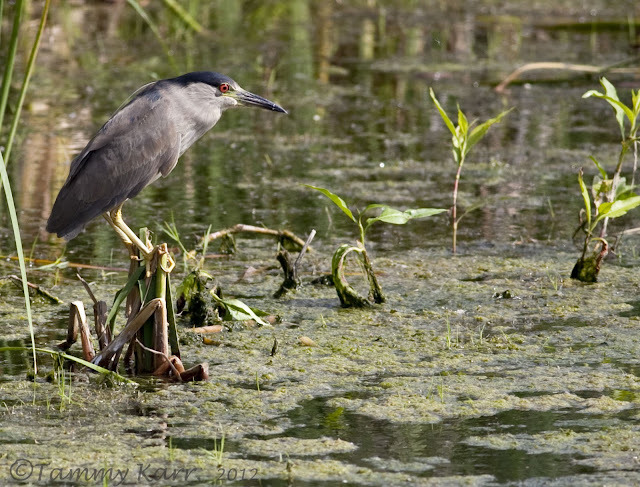 Great, Cattle, Snowy, and Reddish Egrets as well as Great Blue, Little Blue, Green, Yellow and Black-crowned Night, and Tricolored Herons are all Florida residents. One of my favorites is the Green Heron. 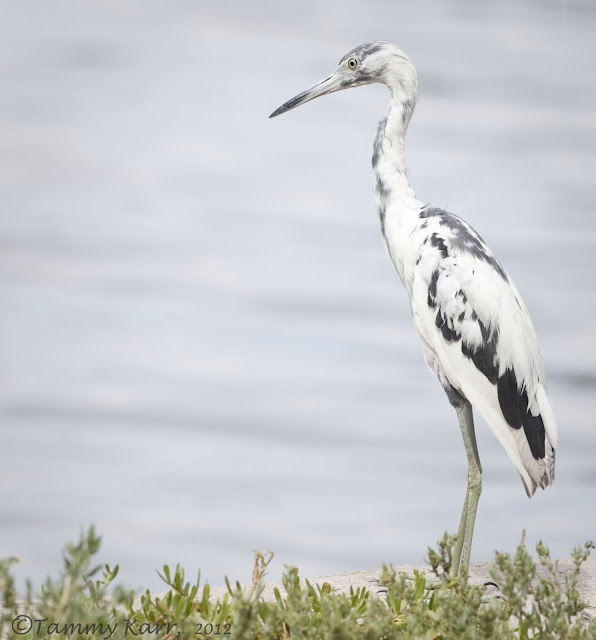 This heron may be the smallest, but it sure has a lot of personality! 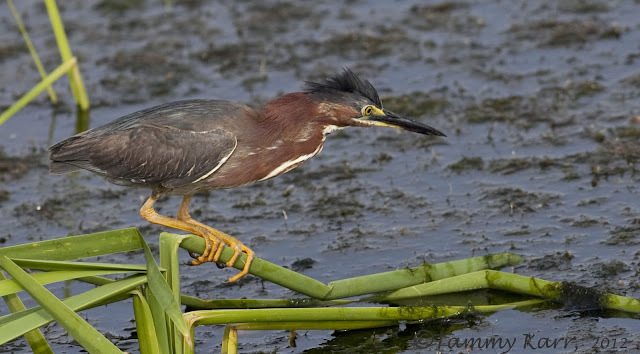 Green Herons forage in a similar fashion as many other herons and egrets. These birds feed by standing motionless for long periods, then lunging at their prey and piecing or capturing it with its sharp, razor-like bill. 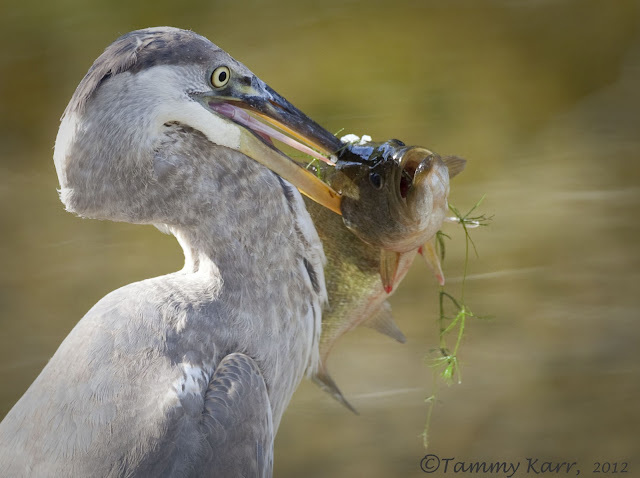 After capturing its prey, Great Blue Herons gulp their meals down whole. 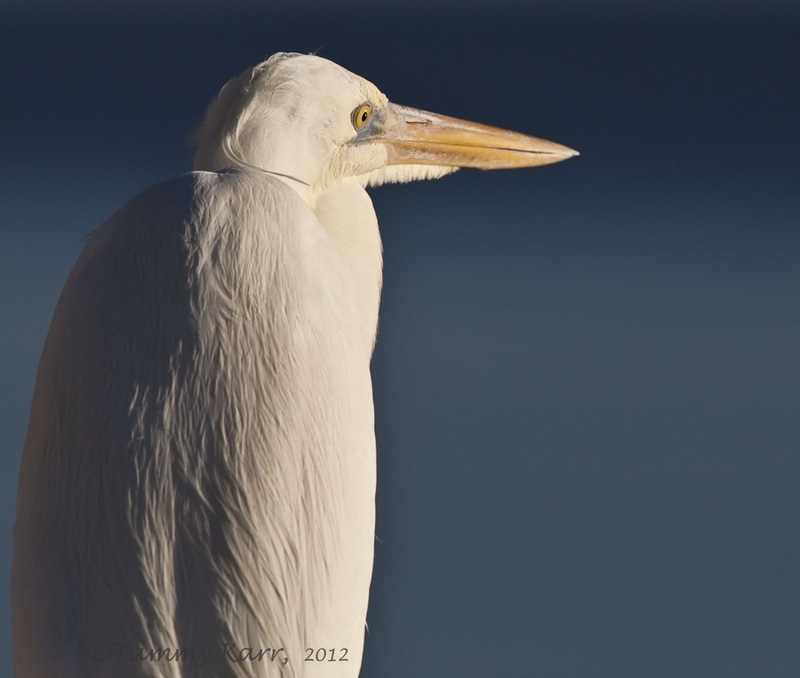 The white form of the Great Blue Heron, aka the Great White Heron, can be found primarily in southern Florida. 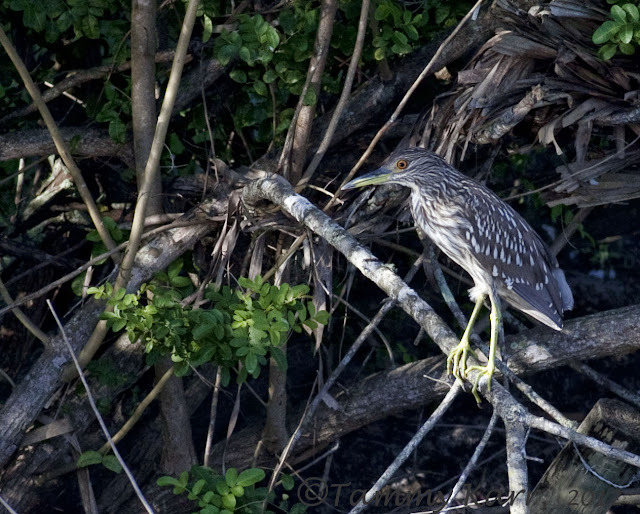 The Night Herons tend to be the most elusive of the bunch. While they are most active in the early morning or at night, they can occasionally be seen midday. 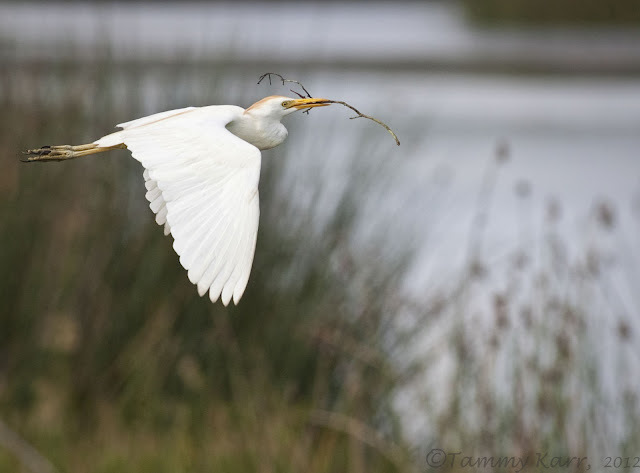 A large number of Cattle Egrets breed this time of year at the local wetlands. 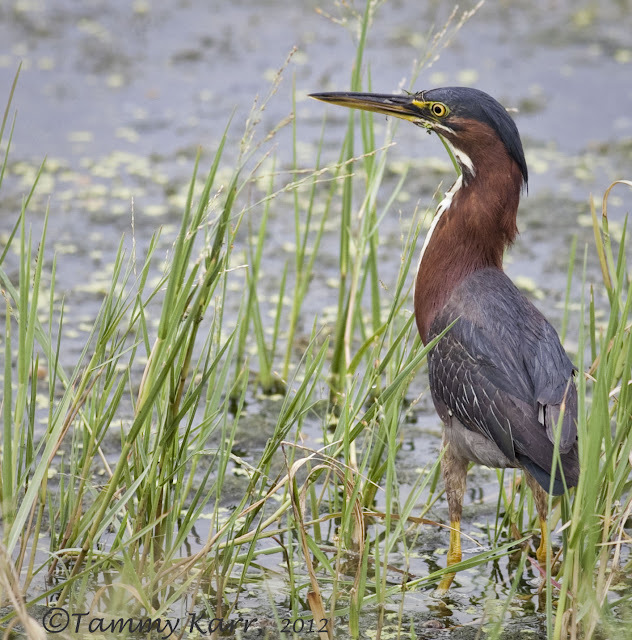 Great Blue Herons, Tricolored Herons, Yellow and Black-crowned Night Herons, Little Blue Herons, and Green Herons also breed in the same area. It's a busy place! A number of juvenile herons and egrets can be seen enjoying their new found independence this time of year. Little Blue Herons are interesting to see when they are mottling from their their immature white plumage to their dusky blue, adult plumage. 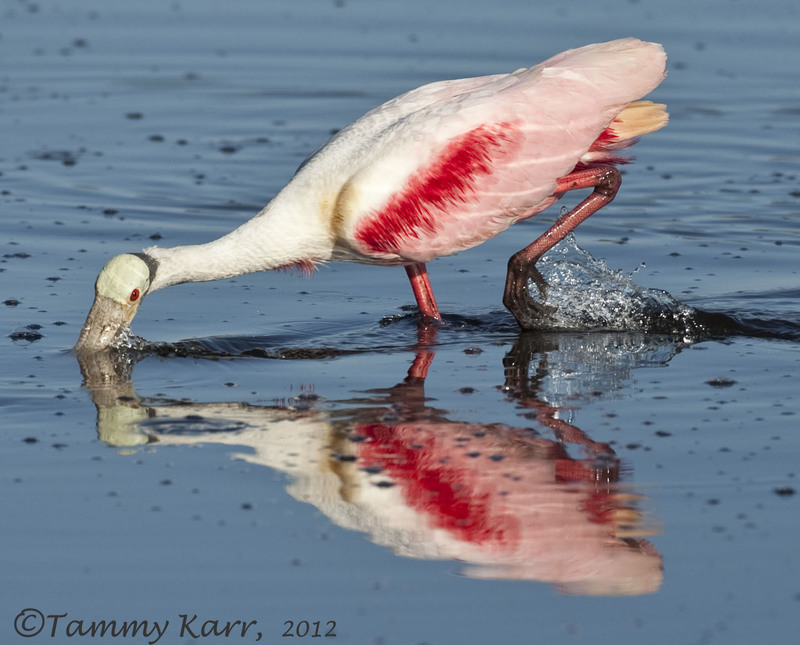 Roseate Spoonbills are the most vibrant, and often the most coveted, waders found in Florida's water. 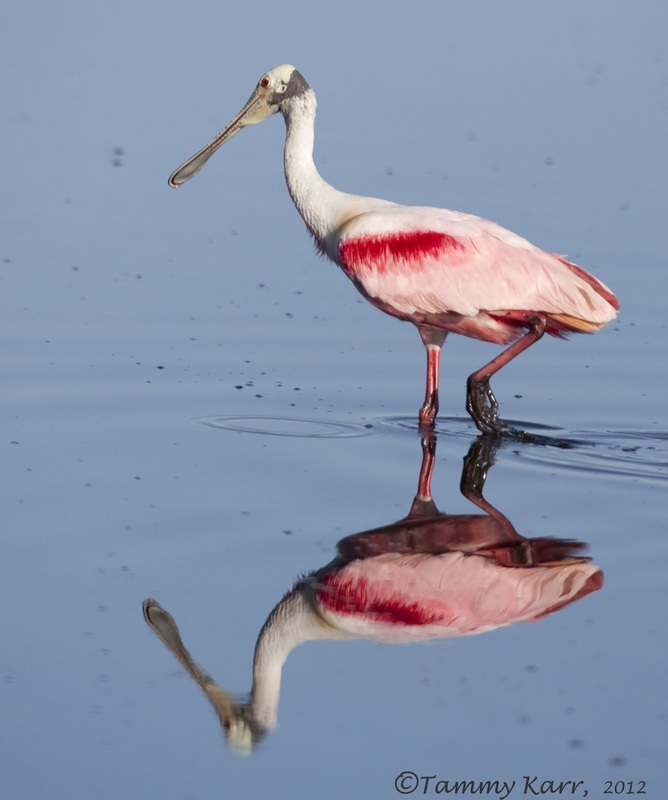 In addition to their bright pink colors, they have a unique spoon-like bills that are used to strain small particles of food from the water. The Wood Stork is an endangered wader that resides and breeds in Florida. 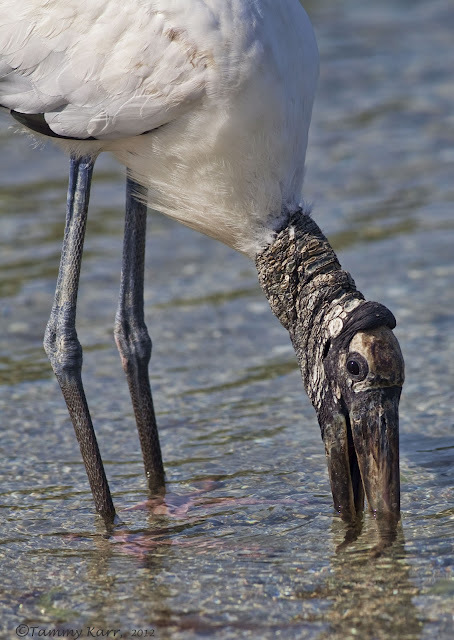 The Wood Stork also has a unique way to feed as it waits with its mouth open and snaps it shut when it feels an unsuspecting fish nearby. White and Glossy Ibises can be found in a wide variety of places throughout Florida. They can be seen at the wetlands, in your yard, even in drainage ditches on the side of the road. 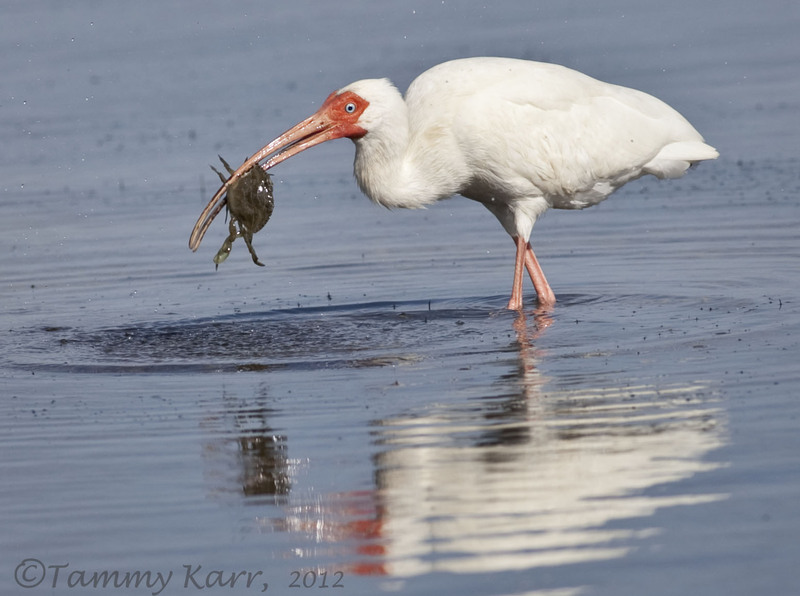 While at times just waiting around can be dull, here in Florida, wading around can be quite exciting! Great series, Tammy. I love the greenies although I don't see nearly as many of them as I do the others here in Tx. Wonderful post and photos. Fantastic captures of a great number of birds. Great series of different herons. Excellent post, Tammy!! Brought back lots of memories of past birding trips to FL!! Great post Tammy! Actualy made me homesick for Florida! What a stunning set of pictures - I'd be pleased to have taken any one of them! The spoonbill reflection is just great. Strange how we both posted pictures of "morph" birds. Amazing photos! The Wood Stork looks pre-historic. The Loveland Mississippi Kites, A lifer at last!